I really had a hard time trying to figure out how to title these rolls. 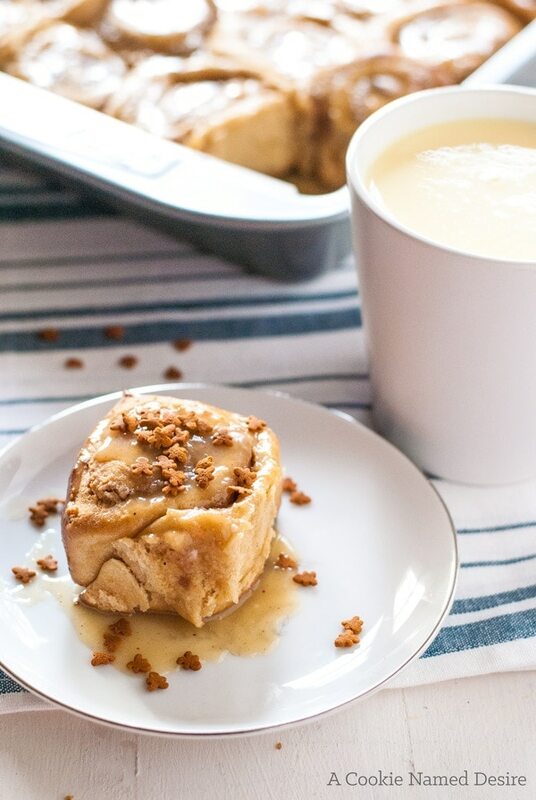 “Sticky Rolls with Pecan Bourbon Maple Filling and Eggnog Glaze” is such a long title, but I feel each ingredient has such an important role in these rolls (hehe) that I really wanted to mention it all. As much as I want to, I don’t regret the extra long title. Nope. 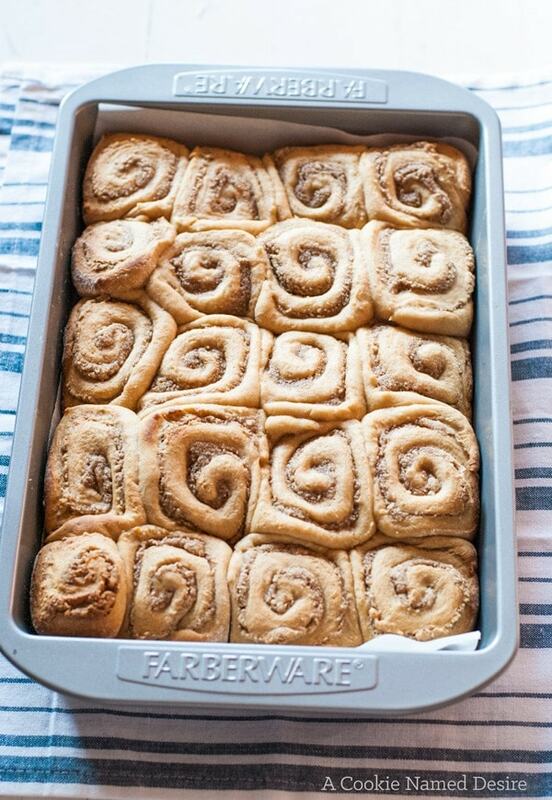 Instead I am just happy that I have a baking pan full of these rolls to stuff my face right now. 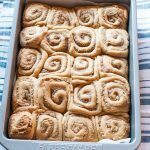 The inspiration for these rolls came when I decided I wanted to make something eggnog for the holidays. I started looking up different flavors that go well with eggnog since I actually didn’t start drinking and enjoying eggnog until last year. One resource said that bourbon and maple both went great together in your eggnog I thought it might be too much going on, but what the hey, why not give it a try? I had some freshly roasted pecans and pecans and bourbon always go together, so I knew I needed to put them in the rolls. It was all coming together quite nicely even though I was dubious about the flavor combination. I know I am only a few days into my life as a full-time blogger, but I wanted to share a quick update about it…. it is scary!! I’ve gotten so used to having this set schedule that I feel so weird breaking out of it. This morning I woke up at 9 am! 9 am!!! That is considered very late for me since the latest I ever get up, even on the weekends is about 8 am. Knowing I won’t have a constant base income that I know I can rely on. Making up my own schedule and being sure I don’t slack throughout the day. Having so much time to think about recipes and feeling overwhelmed from wanting to make literally everything. Being able to not have to worry about holding off recipes because I won’t have time to make them during the weekend. Having the time to work out in the mornings. Yeah, our internet isn’t working on this computer. Something just isn’t letting me connect, so I have to go to Starbucks to work every day. I can’t afford daycare again for a little while, so I have to juggle entertaining a very curious toddler and working and I feel guilty making my grandmother watch her too often. 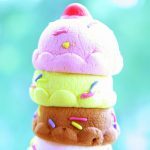 Things are still in the working-things-out stage, so in the meantime, I will just push forward and enjoy one of these rolls! Warm the milk and eggnog until it is very warm to the touch. Stir in the sugar and yeast. Pour in a stand mixer and add the butter and eggs, mix well. In a separate bowl, mix together the salt, nutmeg, and flour. Slowly add the flour mixture to the wet ingredients and mix using a dough hook for about 10 minutes. (If you do not have a mixer with a dough hook, you can mix by hand and knead for about 10 - 15 minutes). Form the dough into a ball. Lightly grease a bowl and place the dough inside and cover with plastic wrap. Allow to sit in a warm, dry place for about 30 - 45 minutes, or until doubled in size. While the dough is rising, take the ingredients for the filling and place in food processor for about 1 - 2 minutes, or until a paste forms. Roll out the dough until it is about 10 by 24 inches. Try and get the edges as straight as possible. Cut the edges if needed. Brush the dough with butter. Spread the filling evenly on the dough, leaving a 1 inch border on the edges. Tightly roll the dough lengthwise so that you have a 24 inch log. 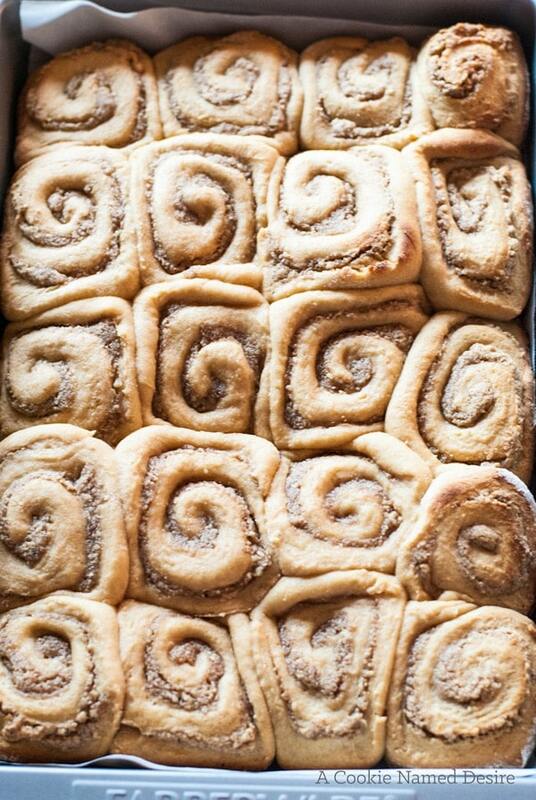 Cut out about 14 - 18 rolls and place on a parchment-lined 9 x 13 baking pan. Cover the pan with aluminium foil and bake for 25 minutes. Allow to cool in the pan for at least 15 minutes before glazing. Yuhhhhhhhhm! I’ve been wanting to make an eggnog recipe but haven’t come up with anything yet. These look to die for! Eggnog glaze? Brilliant. These look divine!! 🙂 I’ve never tried eggnog but this sounds and looks so intriguing! Congrats on making the move to full-time blogging! 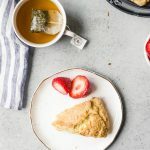 I just started mat leave last week so I feel almost the same… at least until I have a newborn AND a toddler, and am trying to blog. I’m sure everything will work out! 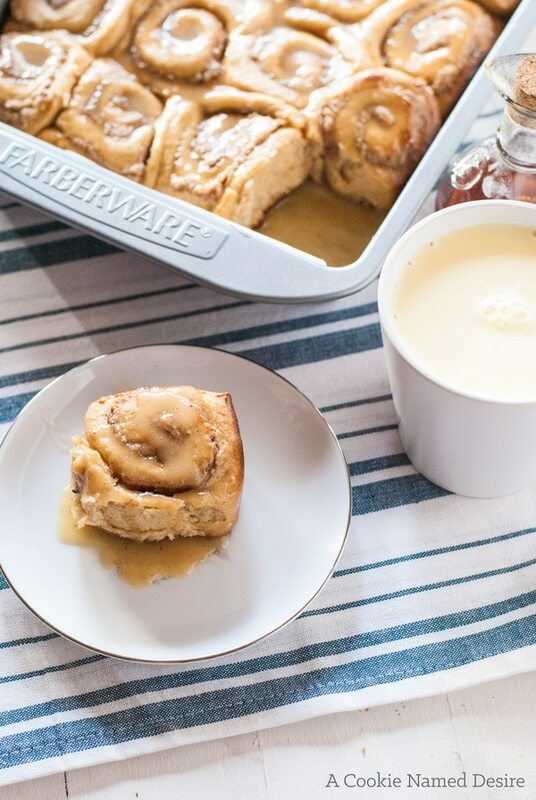 And these sticky rolls look incredible! Oh my gosh a toddler AND a newborn, I don’t think I would be able to do it! Bless you! First off, congrats on making the jump to full time! You are right. It is scary yet rewarding at the same time. I literraly have a list a mile long of recipes I want to make and share but I know its no realistic for me. 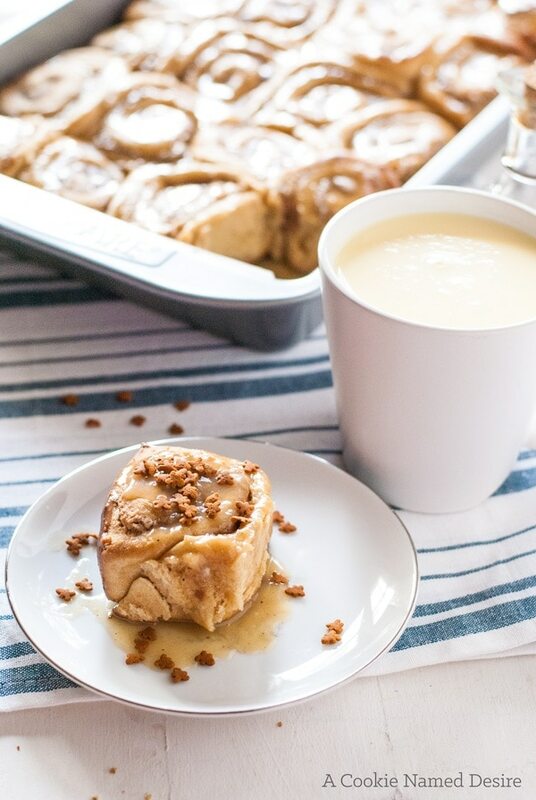 In the meantime, I am going to turn to these bourbon cinnamon rolls. YES PLEASE!